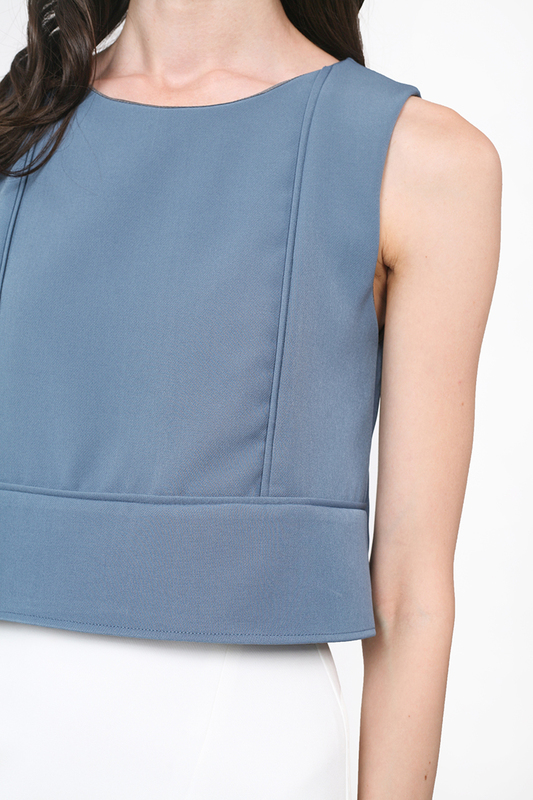 Cropped in length, the Anais is a basic round-neck top with not-so-basic piping details that run both horizontally and vertically and a delicate keyhole buttonhole detail along the nape. With a universally flattering neckline and subtle design differences that stand out from regular cropped tops, it is a piece that is hard for minimalists to say no to. Fully lined, it is as comfortable as they come. Bust 15" 16" 16.5" 18"